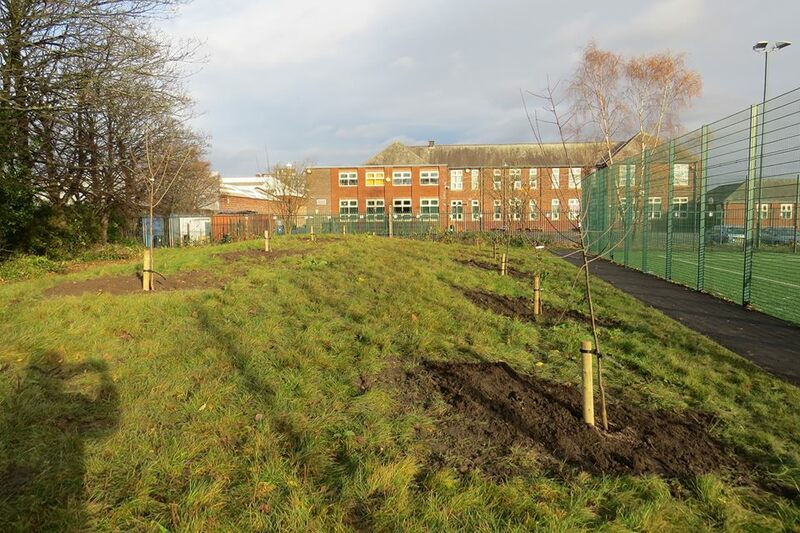 The development of the community orchard has evolved through two Gorse Hill community projects – Gorgeous Gorse Hill and Project Buzz. A site in Gorse Hill Park close to the newly installed football pitches was picked (see what I did there); it was an unused, unloved spot perfect for some TLC that our community initiatives could bring. Lucinda and Steph who have been leading on Project Buzz have been liaising with Trafford Council to get an agreement on the use of the site and preparing the ground; this sounds easy but this is hard work. Gorse Hill hasn’t had any community initiatives like this before and all of a sudden a load turn up at once (not forgetting PooBusters) so there has been a lot of conversations and reassurances but we are moving forward in a positive way. Community Payback had been in the week before and had done a good job of clearing away the years of rubbish that had built up and overgrown shrubbery. 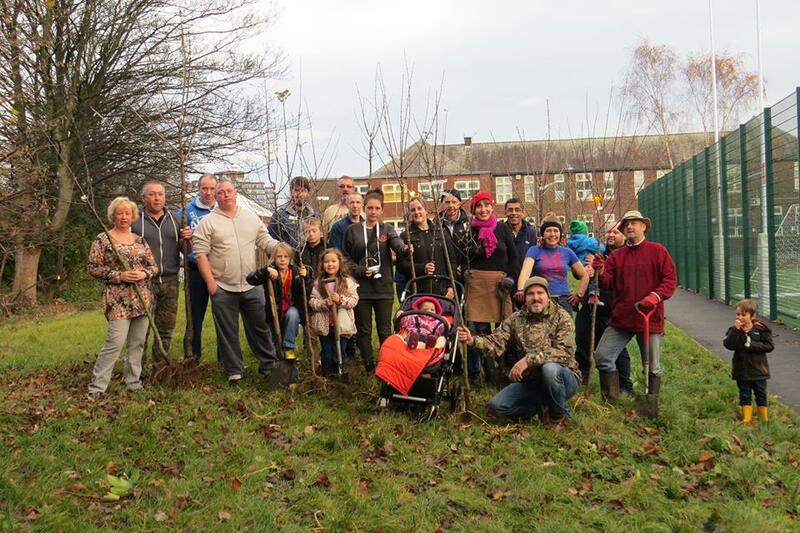 So, on Sunday 8th December a gang of us turned up with spades in hand ready to plant some fruit trees. A great variety of trees were chosen, apple, cherry and plum and included a Sir Isaac Newton one of the oldest breeds of apple in England. I think I can confidently say that we had fun, we were muddy, there were probably a few sore backs but after two hours 12 beautiful trees were planted. There are plans for raspberries and blackberries to be grown around the edge of the area – I can’t wait for Gorse Hillers to be able to pop down to their own local orchard and pick some fruit. Now that’s what I call lowering your food miles.